I was just thinking about this same thing today! How strange. Like where did the time go? Brinner is always a safe bet when the other dinner doesn’t quite make it. Annddd there are still lots of possibilities to re twinkle those eyes. It’s just that they’re hidden under our parental responsibilities. Gorgeous post! You had me at dark side. BTW, you are raising compassionate kids. They were extremely concerned for Luke’s welfare. it’s true. thank goodness luke survived to torment feet another day. *phew* I was worried. Glad he made it through the incident okay. Oh… and I hope your foot didn’t hurt for too long… but, you know, that’s what happens when you step on a lightsaber…. okay so my girl is only 4 and she drives me batty with her incessant talking yet it irks me more when she uses one word statements like “hungry”. what’s wrong with me? oh don’t i know it. and that boy is 11!!! It seems like boys…and men are so demanding and you wonder if they even appreciate all you do. I’m been on that same trip this week. Hang in there! Damn Legos! I almost broke my arse on one last night. I so get this, especially the part about making eggs because ordering in is like failure. Ha! We have so much in common! I am forty-one, I am obsessed with Star Wars, I despise Legos and I too scrubbed a pan forever last night! Swear to God. I live your life. Ahhh two minutes of bliss. “How did I get to be 40 something? Where did these children come from? Wait, I’m married?” I feel that way ALL THE TIME. Sometimes I wonder if I will ever settle into being a grown-up, get to the point where it doesn’t feel surreal. I loved this post. All of it. thank you! it’s crazy, right? so true. but in the next moment we realize how lucky we are. So very true. We wouldn’t change it for the world. But we are blessed. Crazy families and all, we are so very blessed. Hah! I started sweating the second I saw that Lego with the light saber. I honestly think there should be special curse words for Legos. Stop getting inside my head! This post just described my every day. yep, makes sense. it’s always the smart, funny, fabulous ones who struggle the most. I was just commenting to the hubs last night that I was so glad that in the 8+ years I’ve been a parent, I’ve never had the pleasure of a tiny Lego piece jabbed into the soft underbelly of my foot. I said this because my youngest has now started showing an interest in Legos, and I fear that reprieve will soon be at an end. Damnit. I love a good breakfast for dinner night…it’s my go-to choice and we have it at least once a week. Sometimes, mostly when I’m exhausted and my guard is down, I wonder how I became a grown-up who is married and has a job and owns a house. Mostly because I still feel like I’m 18.
breakfast for dinner is the best. isn’t it amazing how we grow up without realizing it. i guess we’re always young inside, amazed by how much time has passed. Something about spring always brings me to exactly the mood I feel when I read this post. 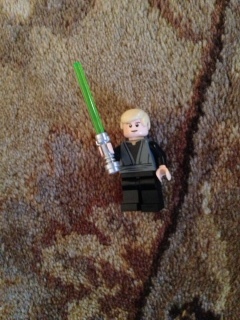 My evil mother would not allow Legos in our house. Of course, they were just used for building buildings in those, the olden days. They had no names or personalities or vehicles. I was a perfect mother and allowed my son Legos to his heart’s content. I stepped on them constantly and my now 22 year old son’s current vocabulary is a strong indication of just how often I stepped on the f*#king things. It’s been so nice meeting you today. I clicked follow because I really don’t ever want to finish this work I’m not working on. And at the rate I’m going, I will succeed with flying colors! haha! well, i hope you got something accomplished. i was the queen of procrastination today as well. a whole lot of nothing happened over here. happy weekend!